In this project, we examine several common perceptions, and study medium-quality mobile VR (say, 60 frames per second and 1080p resolution) over operational LTE networks. We analyze and understand what causes unsatisfactory VR user perception, and propose a new client-side solution that can improve the mobile VR user QoE. We study the standard for latency analysis, then use MobileInsight to collect data for validation and quantification, and finally design our solution to support VR in LTE networks. Our extensive analysis, together with 8-month empirical studies over 4 US mobile carriers, looks into five common beliefs on LTE network latency under both static and mobile scenarios and shows that they are wrong. In fact, they pose as roadblocks to enable mobile VR. We show that, contrary to common understandings, bandwidth tends to be not the main bottleneck for medium-quality VR. Instead, network latency poses the biggest obstacle for the mobile VR support. Interestingly, a bulk portion of network latency does not stem from wireless data transfer, but comes from the signaling operations used by LTE to facilitate the wireless data delivery. These operations exhibit two categories of latency deficiency: (1) Inter-protocol incoordination, in which problematic interplays between protocols unnecessarily incur delays; (2) Single-protocol overhead, in which each protocol’s signaling actions unavoidably incur delays. LTE incurs long disruption time during a handover upon roaming. Following our findings, we devise a solution, called LTE_VR, which is a device-side solution to mobile VR without changing device hardware or LTE infrastructure. LTE-VR adapts the involved signaling operations to be latency friendly, while being 4G standard compliant. In a nutshell, LTE-VR both reactively mitigates the unnecessary latency sources among protocols and proactively masks unavoidable latency inside each protocol. We have prototyped LTE-VR in a testbed with USRP and OpenAirInterface. Our evaluation shows that, LTE-VR reduces the frequency of graphical frames that miss the human’s tolerance by 3.7X on average. It meets the user’s delay tolerance with 95% probability. It also achieves latency reduction comparable to 10X wireless bandwidth expansion. Furthermore, LTE-VR incurs marginal signaling overhead and extra resource consumption. 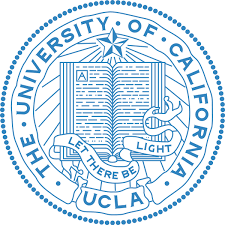 We gratefully acknowledge research support from the departmental support from UCLA.